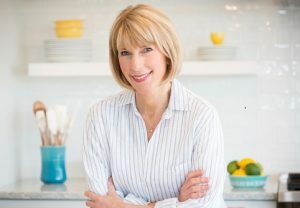 The premise of Balance Your Plate is to offer a simple equation for boosting fruit and veggie consumption by pairing a favorite frozen or chilled entrée with a fruit and/or vegetable side dish. With that formula in mind and the celebration of Fruits & Veggies Month top of mind too, I created three produce-centric power bowls with Buitoni Spinach Cheese Tortellini as the base. 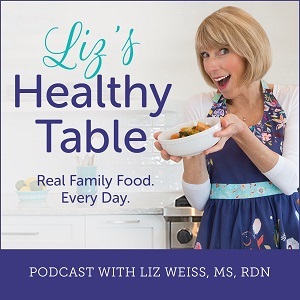 Check out Balance Your Plate for meal plans and nutrition resources. 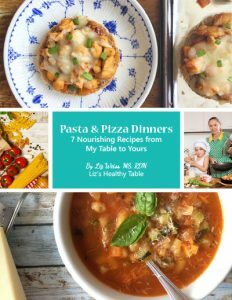 My three pasta creations are filled with big flavors, lots of color, great nutrition, and of course, plenty of produce. They also provide a nutritious source of lean protein (white beans, shrimp, and chicken) to meet the MyPlate guidelines of filling half your plate or bowl with fruits and vegetables, a quarter with protein, and the remaining quarter with a grain. When it comes to add-ins and toppings, each of my bowl ideas is flexible; just about anything goes. In my shrimp bowl, for example, you could easily sub the asparagus for zucchini. Don’t love tomatoes? Use red bell peppers instead. And if cucumbers aren’t your “thing,” what about edamame? Starting with a simple canvas of prepared tortellini pasta allows for lots of creativity and adjustment. 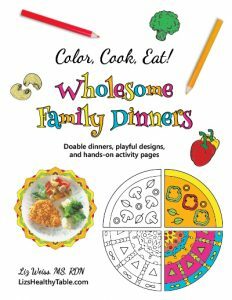 Let your taste buds and food preferences guide you as you build your own family-pleasing bowls. Start this bowl with 1 cup of cooked Buitoni Spinach Cheese Tortellini. Heat a tablespoon of extra virgin olive oil in a nonstick skillet over medium heat. Add 1/2 cup of halved cherry tomatoes, fresh corn kernels from half a cooked cob, 1/3 cup canned cannellini beans, and a handful of roughly chopped fresh basil leaves and sauté for 2 minutes until warmed through. Toss with the pasta and top with grated Parmesan cheese, toasted walnuts, and more basil. Did you know that beans are a vegetable? 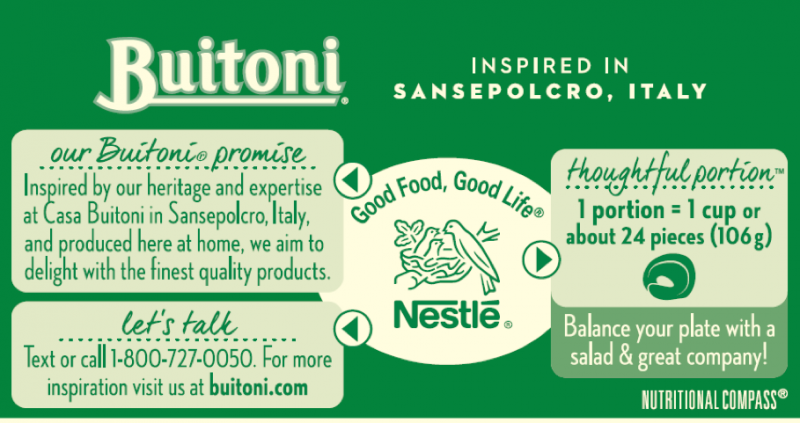 Fun Fact: Take a look at the Thoughtful PortionTM box found on the back of the Buitoni package. For the Spinach Cheese Tortellini, it suggests 1 cup or about 24 pieces per serving. This bowl couldn’t be easier. With just three ingredients, start with 1 cup of cooked Buitoni Spinach Cheese Tortellini. 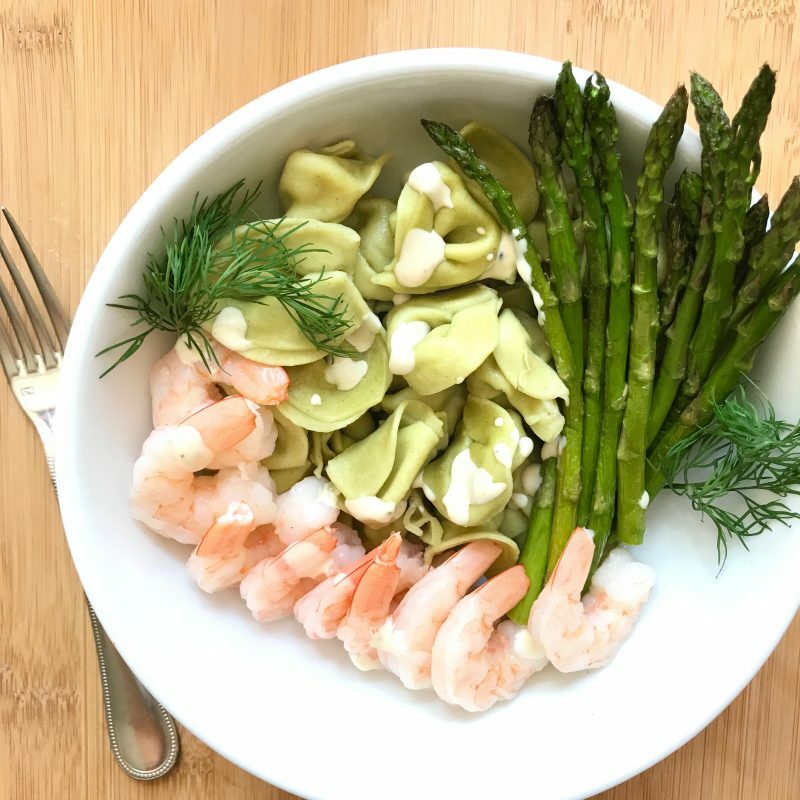 Arrange in a bowl with 1/4 pound cooked shrimp, grilled or steamed asparagus, and a garnish of fresh dill as desired. If you’re a fan of creamy Caesar dressing (we are! ), add a drizzle on top. Easy peasy. You can serve this bowl hot, warm, or cold. Don’t love shrimp? Add grilled salmon or flaked canned tuna instead. 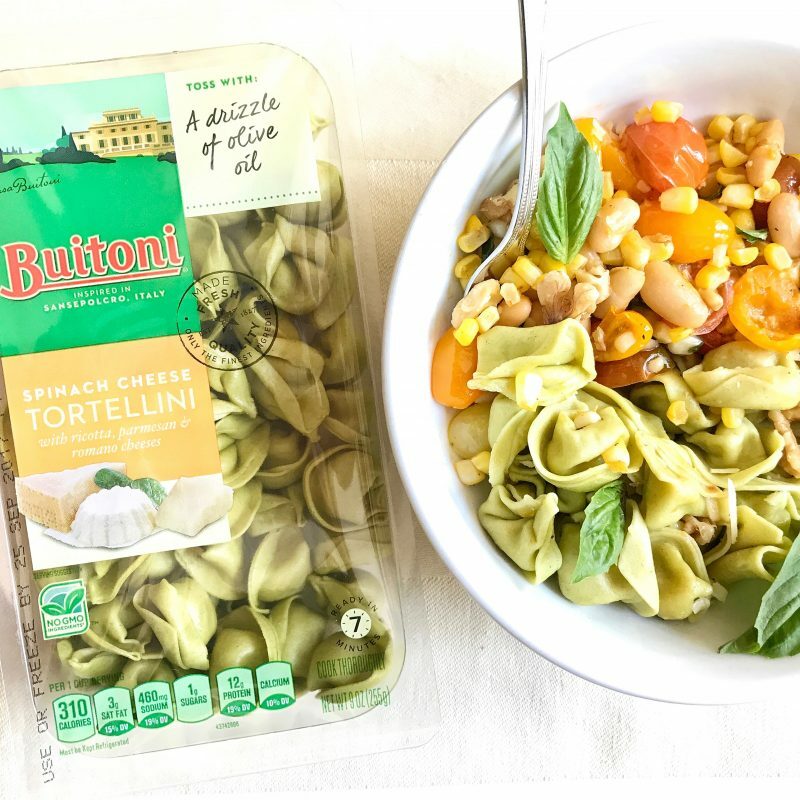 Fill your bowl with 1 cup chilled Buitoni Spinach Cheese Tortellini. 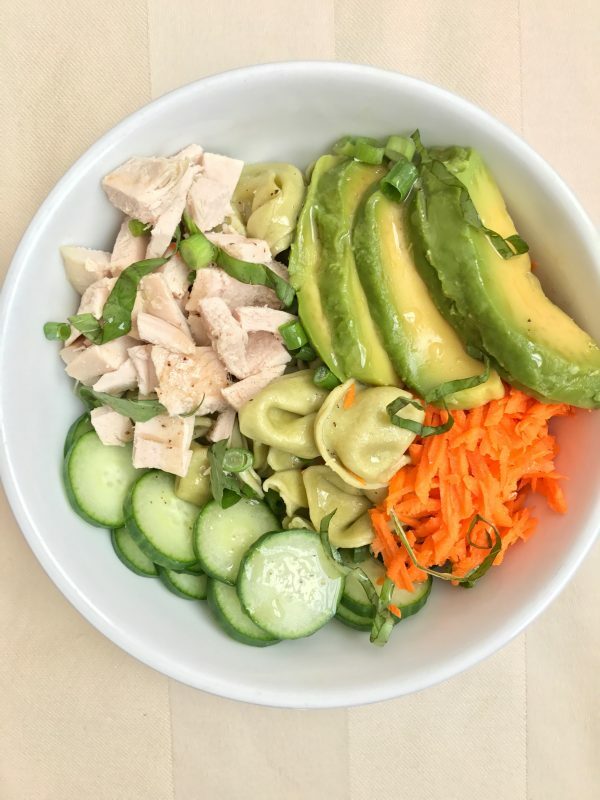 Top with shredded carrot, thinly sliced English cucumber, avocado, diced roasted chicken (I kept things simple and used rotisserie chicken), green onion, and ribbons of basil. Drizzle with your favorite vinaigrette. Avocados are a fruit, not a vegetable, so when you hear the advice to “eat more fruits and vegetables,” add avocados to the fruit side of that equation! Are you a fan of bowl meals? 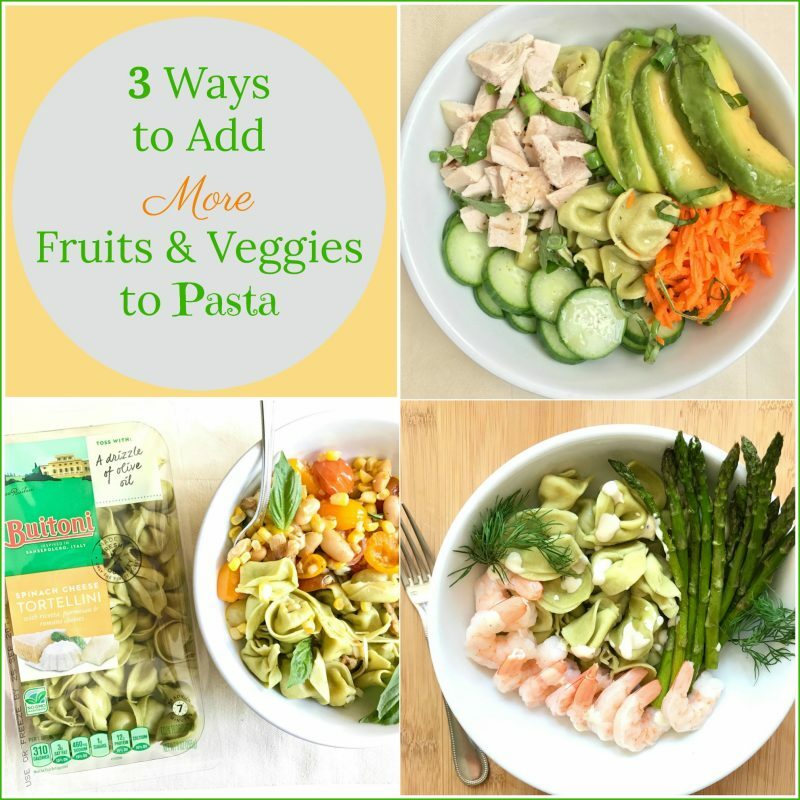 What fruits and veggies would you add to a simple pasta dish? Visit the Balance Your Plate Pinterest Board for culinary inspiration. 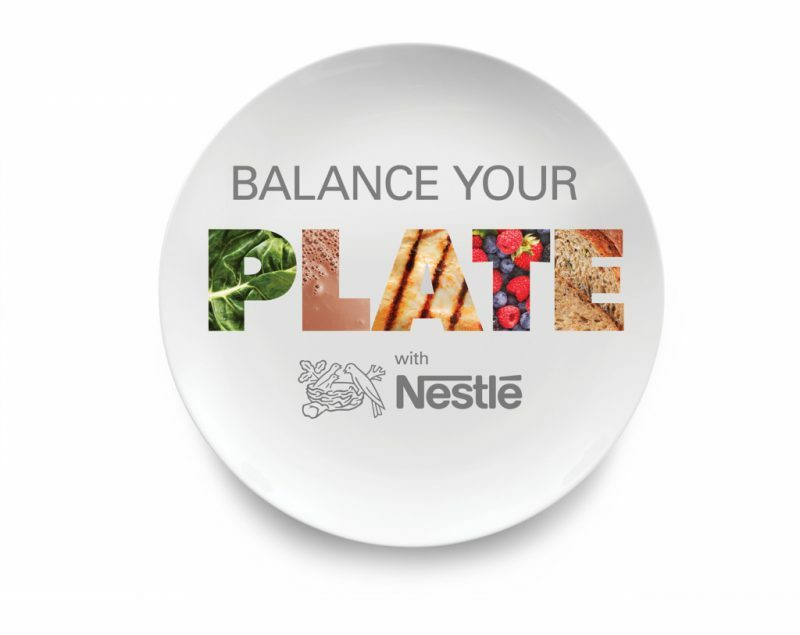 For additional meal plans and resources, visit Nestlé’s Balance Your Plate website. For more fruit and vegetable recipes and tips designed to increase your intake, visit Fruits & Veggies More Matters. To learn more about Buitoni freshly made pasta and sauce visit Buitoni.com. 1. Centers for Disease Control and Prevention. National Center for Health Statistics. National Health and Nutrition Examination Survey Questionnaire. US Department of Health and Human Services, Centers for Disease Control and Prevention. 2007-2010.